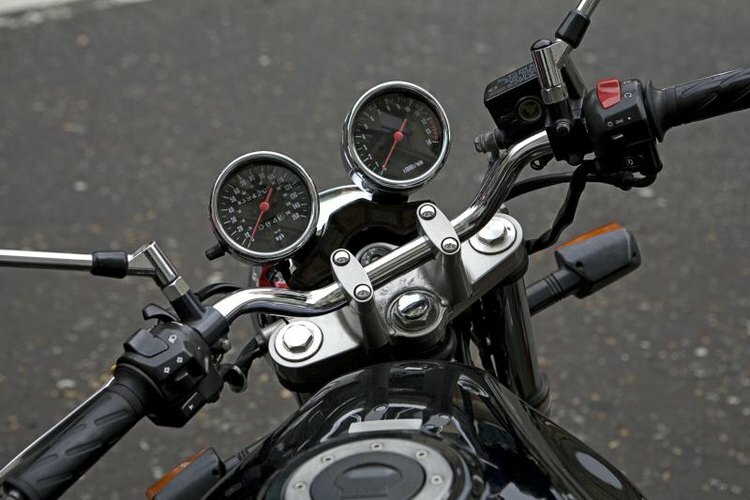 It's common for motorcyclists who ride frequently to experience hand throttle issues such as soreness, numbness, cramping, fatigue and pain. This is especially true if you go on long rides. Hand issues are caused by gripping the throttle tightly at a certain angle for a certain period of time. The muscles in your hand and wrist tighten and the nerves become compressed and cause pain and tingling. The good news is there are various simple and cost effective ways to relieve this problem. A common habit, particularly for new riders, is gripping the throttle too tightly. This is known as "death grip." Riding frequently with an overly tight grip causes the muscles to become sore, especially if you lean against the handlebars. Correcting your body position helps relieve hand throttle pain. The proper body position is tight on bottom and loose up top. This means keeping your thighs tight and secure around the tank for stability and keeping your hand grip nice and loose. Keep the muscles of your hands, wrists, arms and fingers loose by stretching them before and after going on a ride. Take the opportunity to stretch when you get a break during your ride as well. If you go on a long journey and your throttle hand is sore afterward, give yourself a hand massage to relieve any built up tension and loosen any tight muscles. If your throttle hand becomes sore or starts to cramp during a ride, hold it out at your side and shake it vigorously to relieve tightness. Various products designed to relieve throttle hand pain are available. They're also affordable, with most costing under $20. Consider getting a throttle rest, which is a piece of gear that attaches to your throttle and allows you to rest your wrist on it while you're riding, thus reducing pressure and relieving soreness (See Resources: Cramp Buster). Look into a throttle assist, which is a piece of gear that fits around your grip. Instead of having to squeeze the throttle and twist, you simply push down with the heel of your hand to turn the throttle. This relieves the pressure of having to squeeze, which reduces hand soreness and cramping (See Resources: Throttle Rocker). The truth is, some motorcycles have uncomfortable grips, which makes it more likely that you'll experience throttle hand soreness or pain. The best way to remedy this is to replace your grips with a pair that are designed for comfort. A wide variety of grips are made to reduce problems like hand fatigue, finger strain and overall hand pain. Look for a heavy duty pair of grips with comfort features that are compatible with your specific bike. Prices vary but expect to pay about $40 for a typical pair. Fancier options such as heated throttles cost about $90.